The staff of Ironwood Auto Technicians would like to wish everyone a very MERRY CHRISTMAS and best wishes for health and happiness in 2017! Tires can be confusing and if you have recently moved to Vancouver Island you need to know that tires that may be good for Prince George or Kelowna winters aren’t necessarily good for Island winters. There are basically 3 types of tires to choose from, All Weather, All Season & Winter. Here is a VERY simple explanation of the differences. –All Weather tires are considered the tire that truly performs well in all weather conditions. They are used for severe winter conditions including ice, slush or snow. The open tread pattern pushes away ice & snow to maintain contact with the road. The rubber compound stays soft below 7 degrees to maintain grip but doesn’t wear prematurely in warm summer temperatures. High resistance to tearing makes the All Weather tire a long-lasting, multi-purpose tire that can be left on your car all year. 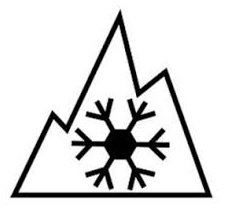 All-weather tires carry the Transport Canada pictogram of a snowflake inside a mountain peak on the sidewall of the tire. This indicates that they have met specific snow traction performance requirements. –All Season tires satisfy the needs of most road conditions but are now considered more of a three season tire because of how they perform in cold weather. They have deep water channels for wet traction and harder rubber compound for greater tire life in WARM weather. However this compound becomes very hard in temperatures below 7 degrees, resulting in poorer traction in freezing weather. These tires do not carry the Transport Canada pictogram of a snowflake inside a mountain peak on the sidewall of the tire. –Winter tires are designed to perform in cold, icy, wet & snowy weather. They are optimized for handling and traction under wet conditions but can be used in dry conditions as well. The rubber compound is the softest of all the tires which gives them flexible tread, great for hugging an icy, snowy road but they wear down in warm temperatures. No problem if you swap them out in the spring. Winter tires are by far are the best tire for severe winter conditions. They have a pictogram of a snowflake inside a mountain peak on the sidewall of the tire. 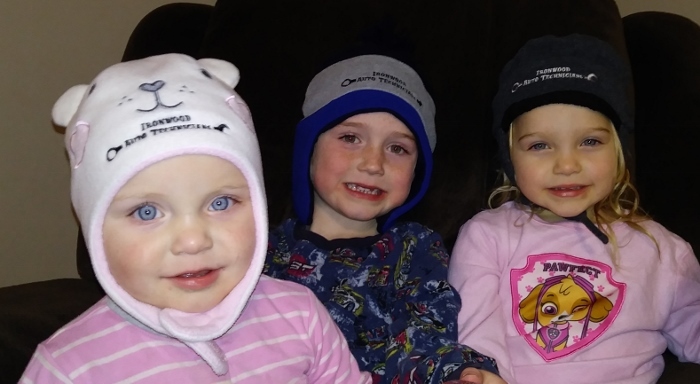 So how do you know what tire is best for a Campbell River winter? Since winters can range from mild and wet, to cold, wet and icy, to snowy and icy for a while, then wet again, the All Weather tire seems to be your best bet for this unpredictable climate. If you make a lot of trips to the interior or to Mt. Washington for skiing then Winter tires may be the ones for you, just swap them out for All Season or All Weather tires in the spring and you’re good to go for several seasons. The technicians at Ironwood Auto Technicians in Campbell River will be happy to go over your tire options with you and help you select tires that work best for you. F rom one sun lover to another let’s agree on one thing, a hot summer day at the beach is heaven! On the other hand, a hot summer day in your car without air conditioning is… well, imagine cloven hooves a tail and a pitchfork and you get the picture. For a vehicle owner a working A/C system is more than a matter of personal comfort on a hot summer day. By pulling moisture out of the air your A/C also keeps your windshield from fogging up. Safety and comfort are two of the reasons why the system should be checked for leaks on an annual basis .Did you know that the refrigerant in your A/C system does more than cool the air? Sure if levels of refrigerant drop too low the A/C system won’t be as effective as it could be. You may notice the difference but think you can “live with it” for another summer but FYI the refrigerant also delivers the oil that protects several related parts in the A/C system. By neglecting to service your A/C you run the risk of ruining your A/C. Remember, prevention is ALWAYS cheaper than a repair! At Ironwood Auto Technicians our mechanics are trained & certified in A/C, they can diagnose & repair your A/C system and get you back on the road. Merry Christmas! How Are YOUR Brakes? Winter driving is here and even on Vancouver Island winter weather means the possibility of snow and the certainty of ice. 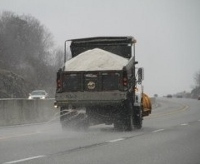 These winter conditions mean road crews are out spreading salt, calcium and gravel on our highways and we are all driving through it with our vehicles. We may be happy to see the road crews at work making driving conditions safer, but the material they leave in their wake can wreak havoc with our brakes. Variations in temperature and humidity along with exposure to the salt, gravel and calcium can contribute to faster wear and premature brake failure or poor braking consistency. Considering that our brakes are our vehicle’s most important safety feature this is something you simply cannot afford to ignore. If you have noticed any issues with your brakes you should consider a pre-emptive strike and have them looked at before the problem worsens. Ironwood Auto Technicians can disassemble your brakes, clean them and properly lubricate each part, extending their life and ensuring they work effectively when you need them most, on the ice and snow of winter roads. Please drive safely and make sure you adjust your driving to suit the weather and road conditions. With good brakes and the proper care and attention you’ll sail through another winter problem free! Season’s Greetings from Ironwood Auto Technicians! The staff of Ironwood Auto Technicians would like to wish everyone a very MERRY CHRISTMAS and best wishes for health and happiness in the year to come! Don’t ignore your “Check Engine” light! You should be familiar with all your dashboard warning lights. If the symbols don’t make sense to you have a look at your manual, it will explain them and give you general instructions on what to do next. Your Ironwood Auto Technicians are available to answer questions about your dashboard warning lights, being firm believers that an ounce of prevention is worth a pound of cure. 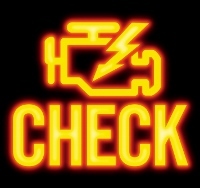 A flashing check engine light indicates a condition exists that could lead to serious damage! Expensive damage! This situation calls for immediate action. Ironwood Auto Technicians can diagnose the “Check Engine” light on most makes and models of vehicles. They will identify the problem and discuss the solutions with you. Don’t delay, being proactive in this situation can save you money. Gas – How Can You Pay Less at the Pumps? 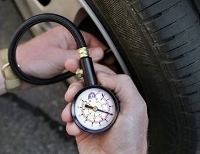 Did you know that in many cases it is up to you how much fuel your vehicle burns? Sure there is a limit to what you can do to improve fuel economy but within those parameters you can save yourself some money, the price of gas being what it is these days. For instance, when was the last time you serviced your fuel system? In this case that old adage “If it works don’t fix it” may be bad advice. Your fuel system might function but is it functioning optimally? If not then it is costing you money. Have your auto technician clean your fuel injectors, combustion chamber and throttle valve. (of course different vehicles have different components) If a valve sticks open your car may still run but it’s burning more gas (and costing more money) than it needs to. Your fuel filter is like your liver, it filters out all the garbage in the system. In your vehicle that would be dirt and rust from your gas tank. It then delivers a clean, pressurized supply of fuel through your fuel pump to your engine. If your fuel filter is clogged that puts pressure on your fuel pump to deliver the gas needed to run your vehicle efficiently. If your car is equipped with a carburetor you should replace your fuel filter every year. This will extend the life of your fuel pump and give you better fuel economy. If your car has fuel injectors your fuel filter should be replaced every 2 years or 40,000 kms to ensure optimal performance. The Tour de Rock will be coming through Campbell River on September 22 and 23rd as part of their cancer research fundraising bike ride on Vancouver Island. Come out and support them and most importantly watch for them on the road and help keep them safe. What is the Tour de Rock? A group of dedicated police officers, media personalities and a special guest have been training since the beginning of March to take part in Vancouver Island’s 2015 Cops for Cancer team. They will bike the length and breadth of Vancouver Island to raise funds for the Canadian Cancer Society. The air conditioning on any vehicle dramatically reduces the available horsepower from between 15% to 25%. Of course this drain of horsepower affects your fuel economy so you now have to decide whether to “open the window, save gas and listen to traffic” or “turn on the AC, sacrifice fuel economy and be able to hear your sound system”. You should be aware that using your air conditioning system does put additional stress on your vehicle’s cooling system in general so your cooling system needs to be in good working order to prevent your engine from overheating while your AC is on. Your air conditioning unit contains lots of moving parts and they do wear out. Your AC hoses and components need to be checked for debris and metal particles that can restrict the flow of refrigerant through your AC system, making your vehicle work harder to keep you cool this summer. 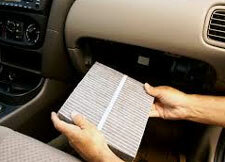 Many new cars have cabin air filters, if you have one it should be inspected to make sure it is not clogged and air can move the cold air efficiently. This ensures the interior of your vehicle will cool down quickly. Personal Note: Enjoy the summer weather and help take care of our Island in these dry conditions. There are over 100 fires burning in BC right now, many caused by human carelessness. We ALL need to be more careful!